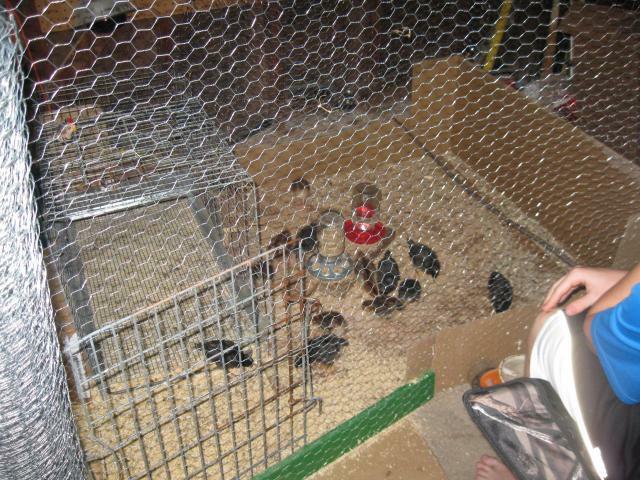 Everyone happy in the brooder. 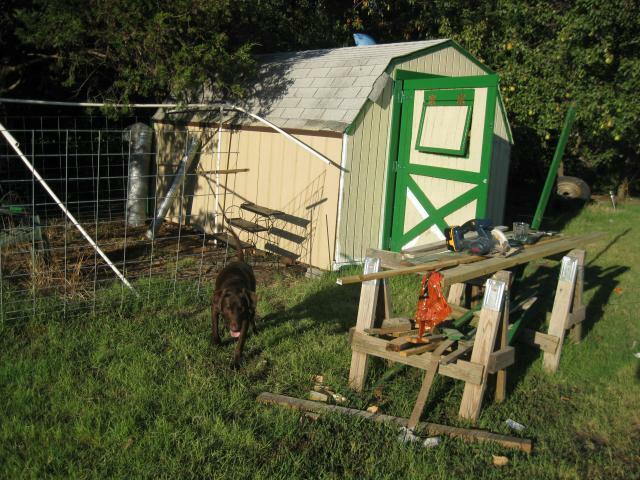 Made up of a dog kennell, rabbit cage and extra chicken fence with lots of cardboard. 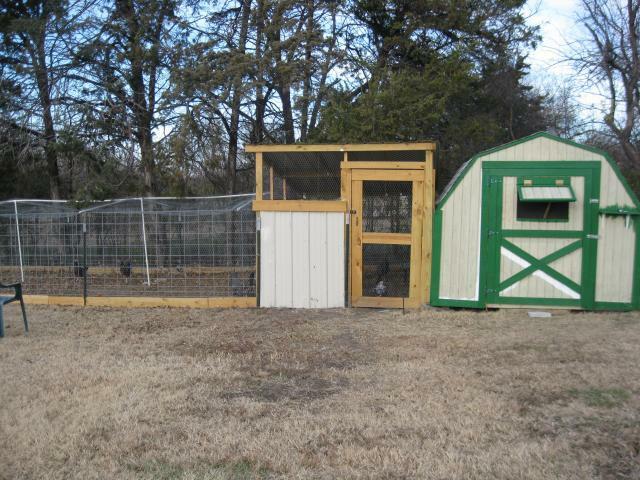 The finished coop and run. 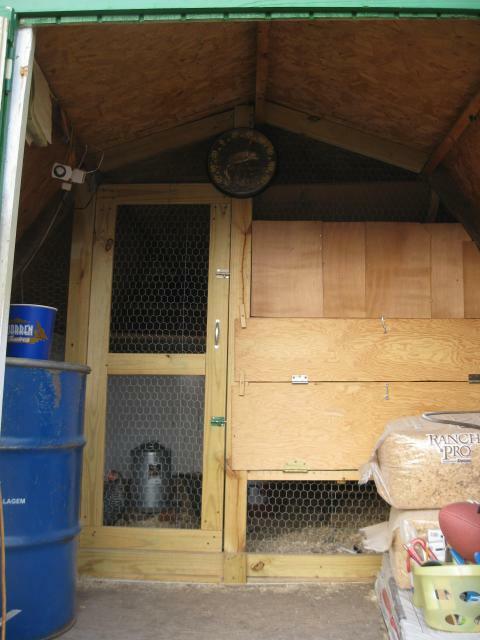 Inside the first 3 feet is storage and feed and the rest is for the chickens. 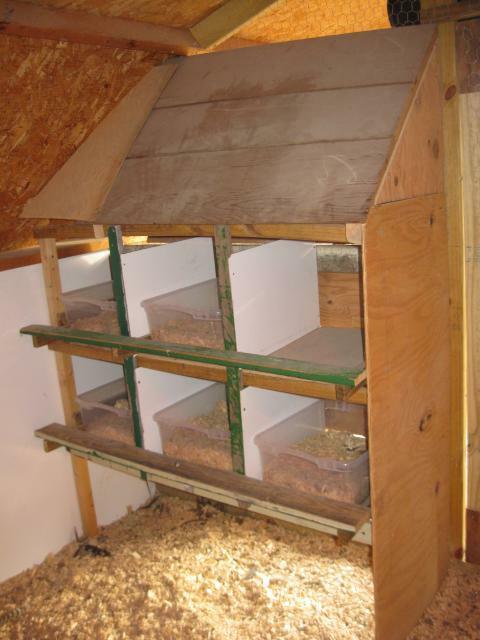 The two horizontal panels open to the nesting boxes. We used plastic tubs for laying in so if we had any accidents it would be easy to clean. This is our homemade feder and ladder up to the roosts. There are two roosts that seem to be big enough. 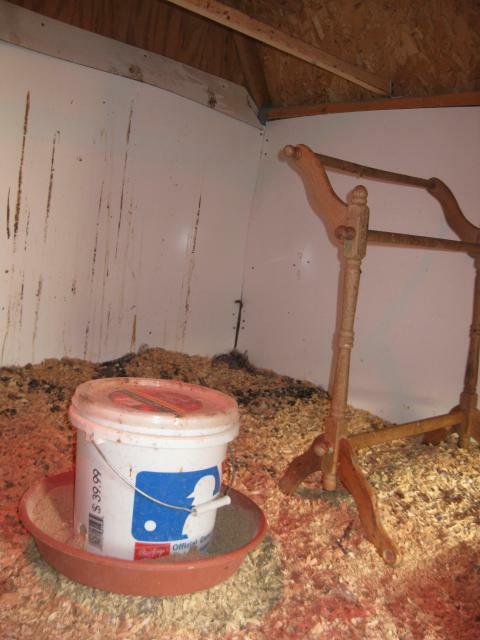 I would like to add a board underneath to catch the droppings and make cleaning easier. Everyone out for the day. 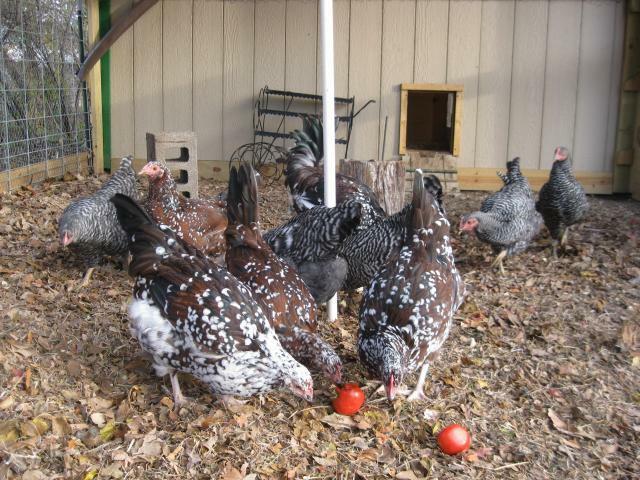 The long tail feathers in the back is our roo.